Attend our classes and workshops and learn how to master your own look like a pro. Bridal Trends are always changing and evolving! The goal of this class is to connect with you! 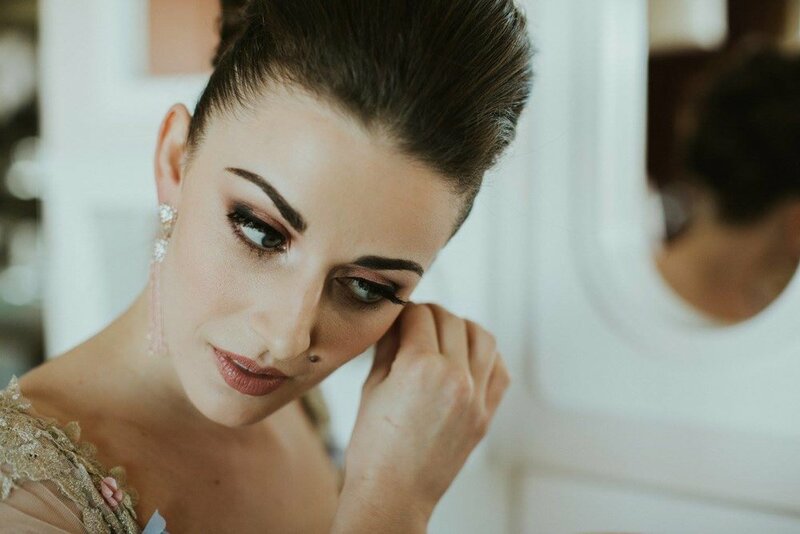 The "soon-to-be bride", "mother/sister of the bride", and "the newly engaged" and help you communicate effectively to your artist(s) the look you want for your big day...and see a gorgeous bridal hair and makeup demo! Mimosas & Coffee provided Duh. Location: 7030 E. 5th Ave.
"I have no idea what to post!" "I want more followers but I don't have anything to share!" We have ALL been there! When you're busy with day to day life, trying to add social media to the mix can be challenging. Come learn a tip or two on how to create better photos & content, enhance your branding, and how to strategize your social profiles. You will be getting a TON of information and tools that will up your social media game. Summer is the perfect time to talk SKIN, SKIN, SKIN. If you want to learn more about understanding complexion, different foundations and finishes, and how to combat oil, dryness, redness, etc. this class is a must! Don't forget to come fresh faced, we'll be treating you to some skin care goodies while you're taking the class. Location: Phoenix Makeup Collective Studio - 7030 E 5th Ave. Hiring a bridal team can be nerve-racking, time-consuming, and honestly... a little scary. We get it! 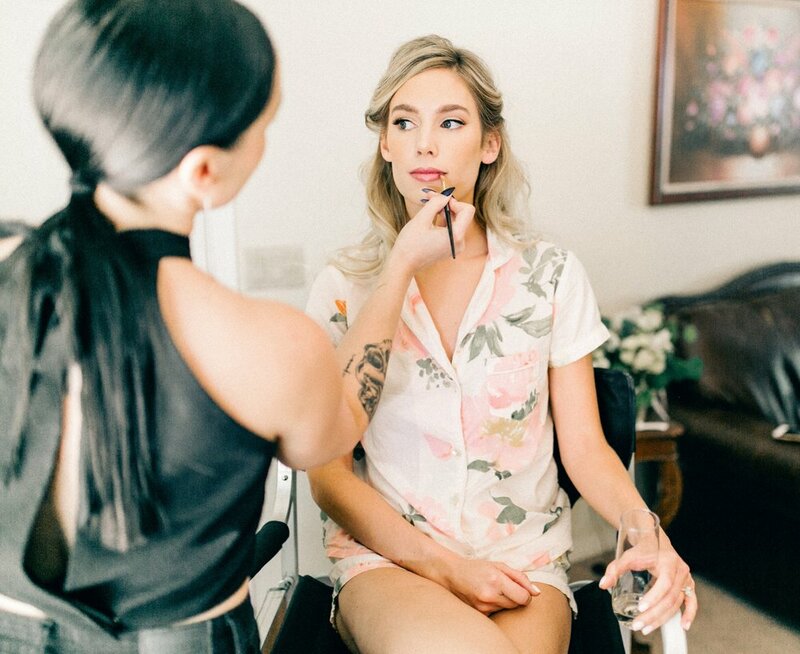 That's why the Phoenix Makeup Collective is hosting a bridal workshop for any engaged couples or brides getting married in the Phoenix Metro Area. Come see Bridal Trends for 2018 demonstrated on live models, meet some of our past brides who want to tell you all about what it was like for them to hire a bridal beauty team, and of course do all of this while drinking Mimosas! Your wedding day is one of the biggest and most important days of your life. It's not only a memory that you'll cherish forever, it's also one of the biggest financial investments you and your loved ones will endure. When it comes to choosing a beauty team, there's a LOT you need to know first. Its more than just a hair and makeup look. How does this artist communicate? How well do you really know your skin? When an artist meets with you for the first time, its imperative you tell them your skin type, products you use, etc... We can't wait to elaborate on this in the workshop! We know you guys love spray tans... but lets talk about that for a second. How to pick a team that is the best fit for you and your special day. Personality, communication, and work ethic are even MORE important than the makeup and hair. Q&A - Already have some questions in mind? Start writing them down! Bridal Panel - You get to hear past experiences from real Brides! Instagram vs. Real Life - What is realistic and what isn't? This can be very hard to navigate! We are going to give you some great tips on how to communicate your ideas during your Bridal trials. Beauty for Photography vs. Beauty in person - How to find that happy medium that works for both! That's right! We've invited a few of our former brides/clients to come and speak to you guys about their experiences hiring a beauty team, what it was like to work with us, and what they would have done differently when planning their wedding. We are so excited to have them there with us! This class is geared towards perfect glowing skin and mastering how to use cream makeup. We want you to ditch your powders and push yourself outside of your comfort zone. There are so many incredible brands making killer cream products and we can't wait to do this makeup demo for you! For more details on what to bring and information you can head to our 'News' Page! The holiday season is a great time to experiment with makeup! Tackle that intimidating classic red lip and overcome the fear of a bold cat eye. We'll even show you how to elegantly incorporate textures like glitter into your look! Join us for an afternoon of beauty and bubbly! What better way to spend your Saturday happy hour! Price: $85 per person, $125 For Two, Bring a Friend! The holiday season is a great time to experiment with makeup! Tackle that intimidating classic red lip or overcome that fear of a bold cat eye. We'll even show you how to elegantly incorporate textures like glitter into your look! Join us for an evening of beauty and bubbly! In this class we will show you how to create beautiful makeup looks on deeper skin tones. We will discuss the importance of skin and its undertone, color do's and don'ts, how makeup translates on camera, and the benefits of at home skincare. We'll cover our favorite brands/products for darker skin tones and more! This class is geared towards Professionals BUT open to the public! All Are welcome!